While combining energizing sample-based sonics with witty lyricism inspired by real life experiences, rapper/producer NANCE has begun to develop his own conscious fun sound. Born February 15th 1991, The North Carolina native started to write raps as a way to express his ideas at a young age and today he would describe his introduction to hip-hop as an organic process. NANCE naturally gravitated towards the music industry while recording his own compilations of music in his bedroom and proceeding to sell them around his high school. After riding home one day with $64 in his pocket from selling mixtapes, he decided it was time to transform his rapping hobby into a career path. NANCE has created a regional buzz by landing performances in various venues headlining his own shows and opening for popular hip-hop artists such as Action Bronson, MGK, KYLE, Mobb Deep, Caskey, SonReal, Chevy Woods, Mike Stud, Shwayze, Lute and the list goes on. He has also performed up and down the east coast and touches the festival stages at Hopscotch (2016 and 2018) and Packapalooza 2016 in Raleigh, A3C (2016 and 2017) in Atlanta, and Art of Cool 2017 in Durham. 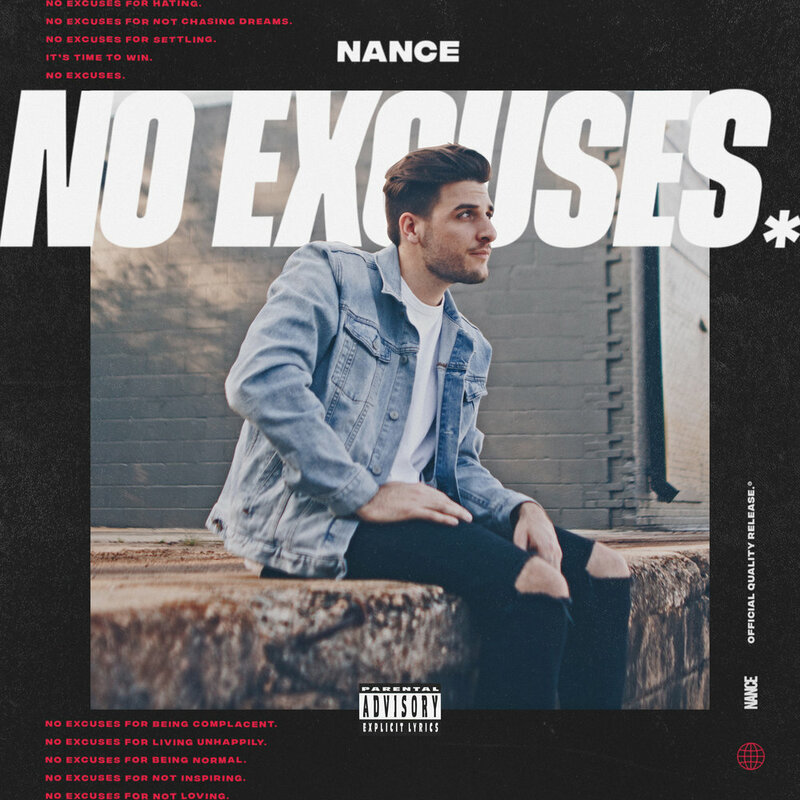 In 2017, NANCE crowdfunded $10,724 while running a Kickstarter campaign in order to fund the completion of his first studio album titled “No Excuses”. When “No Excuses” dropped at the top of 2018, it landed on the top 30 hip-hop album charts on iTunes. NANCE is locked in the studio working on his follow up album set to drop in 2019. When NANCE isn’t writing raps, he is creating his next batch of merchandise, writing comical treatments for videos to promote his shows and events, or studying the ins and outs of the music industry. He takes pride in his personal approach to music and the people that support him, by going the extra step to keep in touch with those that support his work ethic. 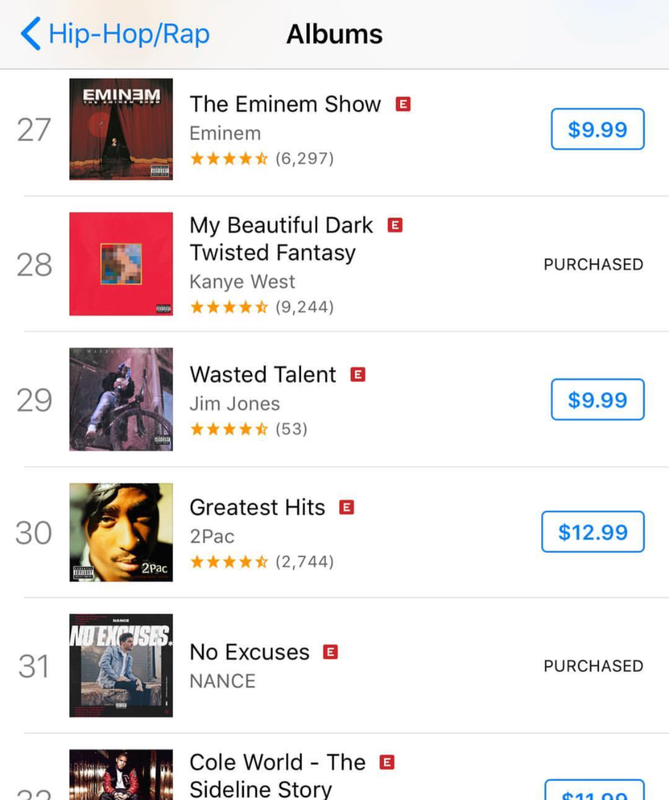 Shortly after the release of No Excuses (the album), it reached the top 30 Hip-Hop album charts on iTunes thanks to everyone that pre-ordered and purchased the album on the day of its release. After the release of No Excuses, NANCE stops by The Super Empty podcast to speak on the album, the North Carolina rap scene, his approach to social media, branding, and more! NANCE sits down with the 3 Oaks Podcast team to discuss his album No Excuses, his introduction to rap, current events, and more! Sign up with your email address to receive new music, merch discounts, and show updates.